You have to appreciate marketing done well. 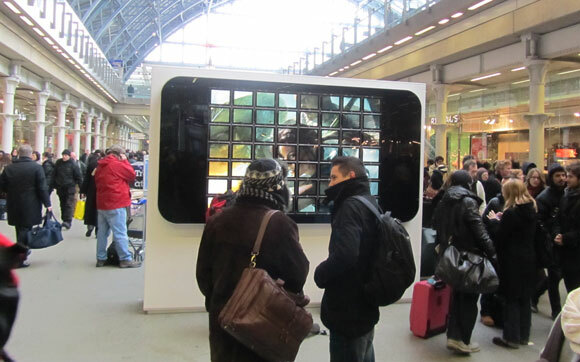 This is the case in London, where the world’s largest iPhone made its debut–consisting of 56 iPads! 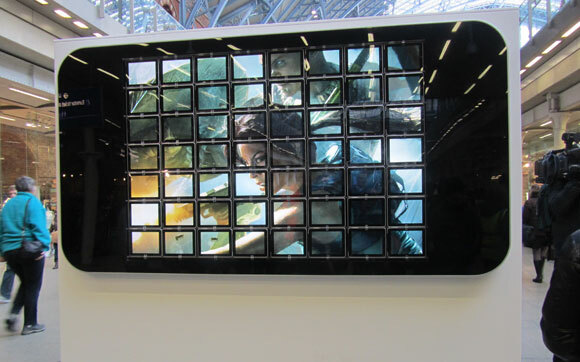 This large ‘iPhone’ was part of the advertising campaign for the app Lara Croft Guardian of Light, and was setup inside the St. Pancras International Train Station. The coolest part of this story? Some of the lucky first peeps won a free iPad just for checking out the display. 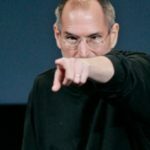 Now that’s how you get people talking about your product!